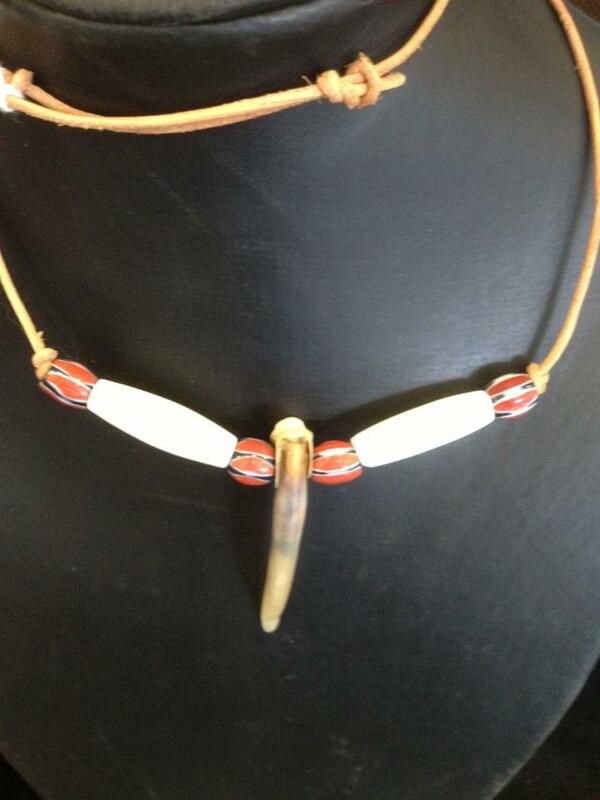 Working with spirit guides, Taz is able to 'channel' bespoke medicine jewellery to energise, encourage and inspire. Whether you have an issue or fear to overcome, need a boost of confidence, or simply want a unique 'power' object made especially for you, we can create a unique jewellery item to help. Firechild also offers a number of bespoke, hand-crafted ceremonial tools. Among items occasionally offered are healing/space clearing rattles, drums, staffs, talking sticks, decorated smudge/healing feathers, medicine bags and possible bags. Where possible, Firechild sources natural materials such as antler, bone, wood and naturally-forming crystals, together with carefully-selected charms from trusted sources. Firechild occasionally exhibits at craft events and mind, body, spirit fairs. Check our events page for details. The images on these pages are examples of medicine jewellery & shamanic crafts. Click any image to magnify. Some of the pieces displayed are still available, others have been united with their human guardians. 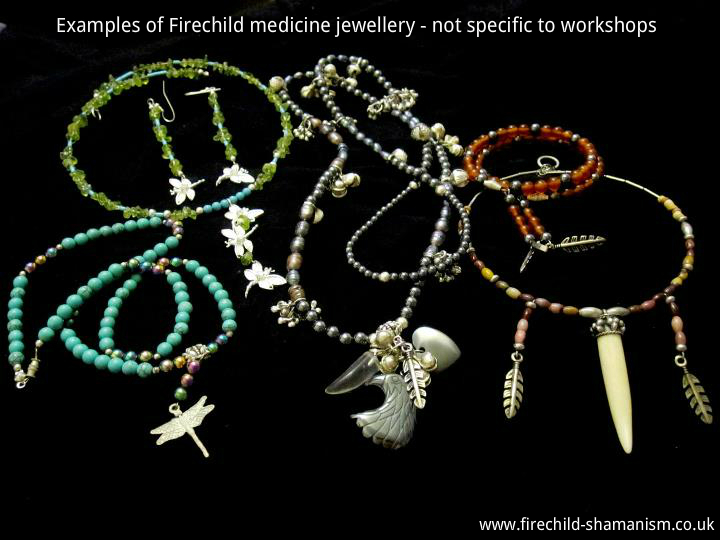 If you'd like to know more about any of the pieces shown, please do drop Taz an email via info@firechild-shamanism.co.uk. Even if your favourite piece has gone, Taz will be happy to chat through your needs and channel a piece especially for you. NB: With the exception of Shaman Stones, Taz never knowingly crafts two pieces the same; with this in mind, if your favourite piece is no longer available, please don't ask Taz to recreate it - you won't like the answer! Instead, Taz will work with you to create an alternative piece to suit your energy.